A modern day household gem, giving a lifetime of stylish, beautiful, good tasting food and most of all making the most of food's usefulness. 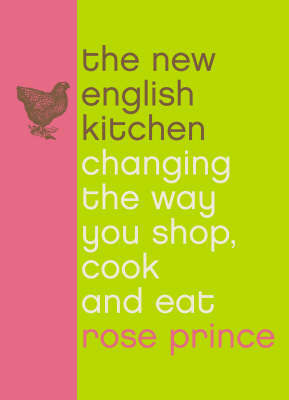 The New English Kitchen is a cookery book for our times. You do not need to be a millionaire to eat the finest food on offer, nor do you need to spend forever slaving in the kitchen. This book shows you how to make your meals go further, revealing practical ways to make the highest quality food fit inside a tight budget. Good food relies on skillful shopping, and The New English Kitchen is a hard-hitting guide to the most controversial food issues, helping you make the right decisions whether buying tuna or veal, milk or prawns. It also brims with suggestions, from exploring the flavours of unexploited fish, choosing inexpensive cuts of meat, to cooking with the new artisan British cheeses. With over 280 easy and distinctive recipes, and a mine of quick ideas, Rose Prince shows how everyone can eat economically and well, every single day.